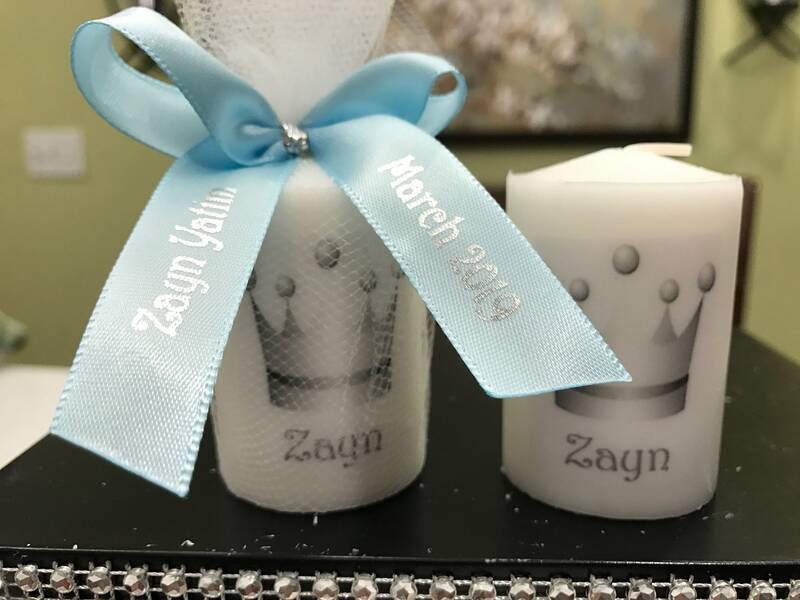 They have arrived , 2x2 inch custom votive candle favors! Perfect for any occasion , a unique favor your guests will love ! Candles with personalized ribbon are $2.25- if you would like this option choose from the drop down menu. When checking out leave the details in the message to seller box. Want a custom picture ? No problem ! Send us a message with the image attached and we will melt the image into the candle with your choice of ribbon ! Any questions please do not hestitate to ask ! We pride ourselves on customer service, fast shipping and quality products ! No refunds due to the customization of the product. Any image sent to us that is a licensed image please know the buyer is paying for our candle making service and not the image itself ! Thanks!! Baby shower favor, Owl themed shower favors, gender neutral shower favors, It’s a girl, Gender Reveal, it’s a boy, You customize the favor ! Yellow duck baby shower favors , personalized shower favors , neutral gender favors, gender reveal shower, What the Duck Is It ?